Gnarabup, Western Australia. 21 Jan 2019. J.M. Huisman. © J.M. Huisman. Published in: Dixon, R.R.M., Huisman, J.M., Buchanan, J., Gurgel, C.F.D. & Spencer, P. (2012). 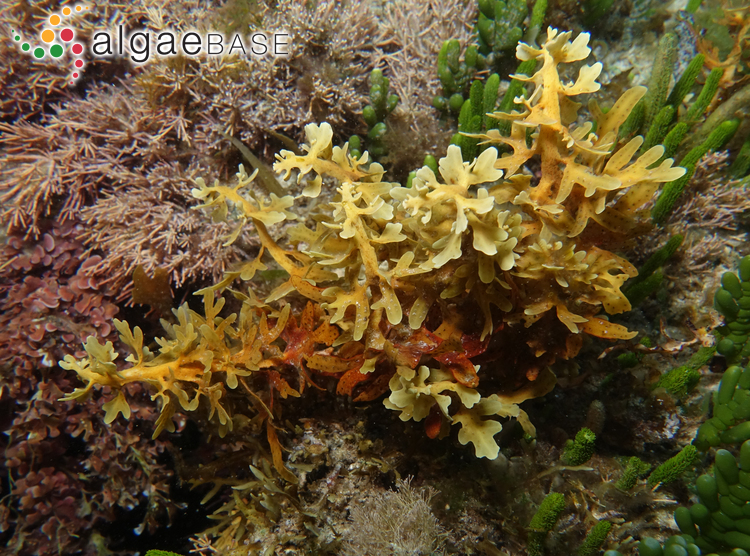 A morphological and molecular study of austral Sargassum (Fucales, Phaeophyceae) supports the recognition of Phyllotricha at genus level, with further additions to the genus Sargassopsis. Journal of Phycology 48(5): 1119-1129. The type species (holotype) of the genus Phyllotricha is Phyllotricha sonderi (J.Agardh) Areschoug. 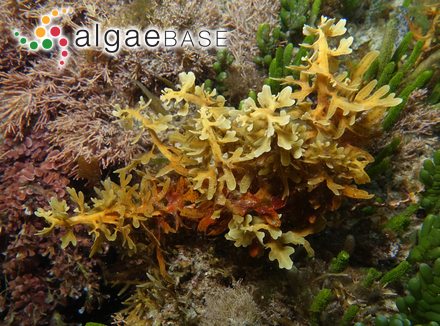 Type locality: Western Australia (probably near Fremantle) (Silva, Basson & Moe 1996: 705). Type: Preiss; MEL 30182 (Womersley 1987: 426). Notes: Silva et al. (1996) recommend consulting Womersley (1954b: 350) for more information on the type locality of this species.